Today, Feb. 24, the United States Mint started selling circulating-quality 2015 Homestead National Monument of America Quarters from the America the Beautiful Quarters series. 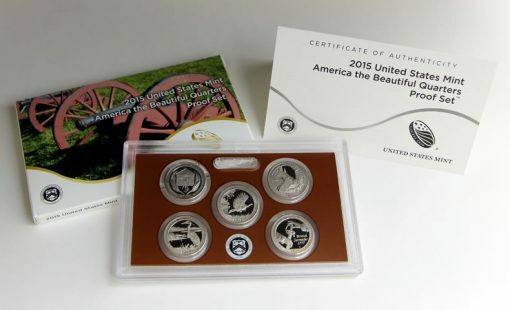 They honor the National Monument in Nebraska and are available in U.S. Mint-branded roll and bag products. Homestead quarters began their journey into circulation on Feb. 9, and they were officially unveiled in a ceremony on Feb. 10, but getting them from anywhere other than the U.S. Mint can take time. 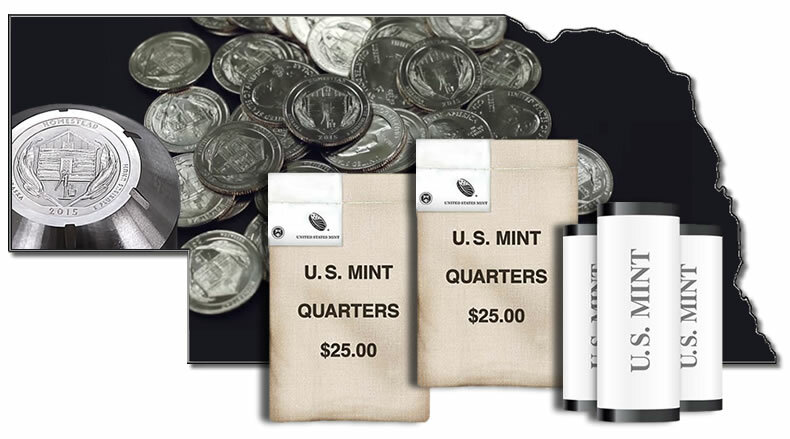 Local financial institutions cannot order quarters by specific designs or from specific U.S. Mint production facilities, so a lot of chance is involved in finding the ones you want in circulating change. Also, quarters struck at the San Francisco Mint are not released into circulation and can only be acquired in a numismatic products sold by the U.S. Mint, like those described further below. 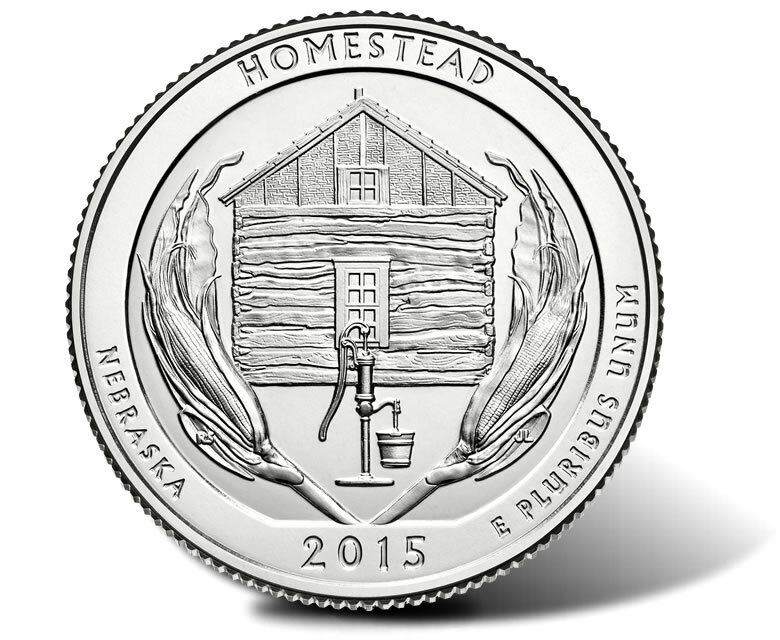 Ronald D. Sanders designed the reverse of the Homestead National Monument of America Quarter. It represents three survival fundamentals common to homesteaders: food, shelter, and water. The image depicts corn stalks, a log home, and an outdoor water pump. It was selected from among 12 design candidates. Surrounding inscriptions read: HOMESTEAD, NEBRASKA, 2015, and E PLURIBUS UNUM. Jim Licaretz was in charge of sculpting the design. Obverses are common to all America the Beautiful Quarters, featuring a portrait of George Washington as sculpted by John Flanagan. 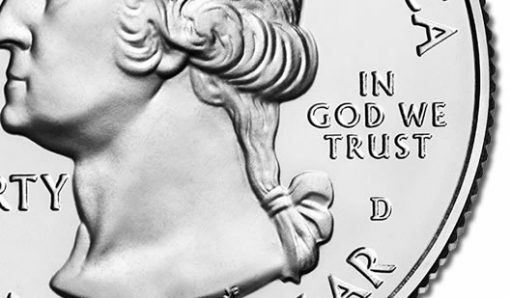 The inscriptions on this side read: UNITED STATES OF AMERICA, LIBERTY, IN GOD WE TRUST and QUARTER DOLLAR. A mint mark is also stamped on obverses to notate where they are made. The mint mark is D, P or S to represent United States Mint facilities in Denver, Philadelphia and San Francisco. New Homestead quarter products include 40-coin rolls or 100-coin bags with options of where the quarters are produced. 40-coin rolls are available as one roll from the San Francisco Mint, a two-roll set from the Denver and Philadelphia Mints or a set of three rolls, one from each facility. 100-coin bags are available individually from the three locations. Here’s a chart to break down the prices on the numismatic products. Quarters from Denver and Philadelphia will eventually make their way into change. That will not happen with those struck in San Francisco since they are made only for collectors. Those who are interested in adding these products to their collection can visit the United States Mint’s website at www.usmint.gov. Here’s a link to the Mint’s quarter products. Collectors can also order by phone by calling 1-800-USA-MINT (872-6468). Two earlier products featuring 2015 quarter-dollars have been released by the Mint — the 2015 America the Beautiful Quarter Proof Set for $14.95 and the 2015 America the Beautiful Quarters Silver Proof Set for $31.95. These sets feature all five of this year’s quarters in collector proof quality. Unlike those in rolls and bags, they have sharper detail, frosted designs and mirror-like backgrounds. Photo of the 2015 America the Beautiful Quarters Proof Set, which includes all five quarters for this year in proof quality. It was releases on Feb. 3. Homestead National Monument of America is the first of the five national site designs to be featured this year. It’s the 26th overall in the America the Beautiful Quarters series. This U.S. Mint video offers a walk through of the coin’s design and production. Other quarters this year will honor Kisatchie National Forrest in Louisiana, Blue Ridge Parkway in North Carolina, Bombay Hook National Wildlife Refuge in Delaware and Saratoga National Historical Park in New York. The America the Beautiful Quarters series began in 2010 and has seen five quarters released annually ever since. 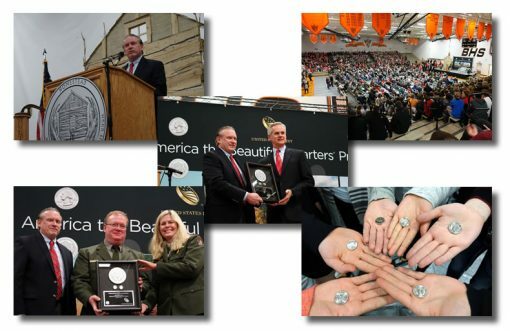 The program is scheduled to release 30 more coins and wrap-up in 2021 when a national site has been honored in all 50 states, the District of Columbia and the five territories of the United States. Received a Philadelphia Homestead in change today. I received 4 NB Homestead Quarters in change a week ago. I have a homestead quarter minted in 2016. Since most were minted in 2015, is this a valuable coin?